The new Creativity Street® crepe line offers a full range of colors to make beautiful classroom decorations, flowers and much more! 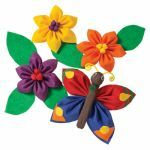 This vibrant assortment of crepe includes one fold of each of the 10 colors. Each crepe fold measures 20 inches wide by 7.5 feet long. 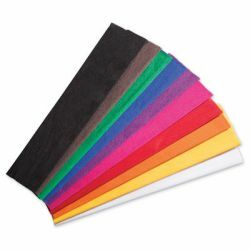 Colors include White, Buttercup, Orange, Cherry Red, Cerise, Plum, Parade Blue, Holiday Green, Brown, and Black.